You are currently browsing the archives for the tag 'bleecker street'. 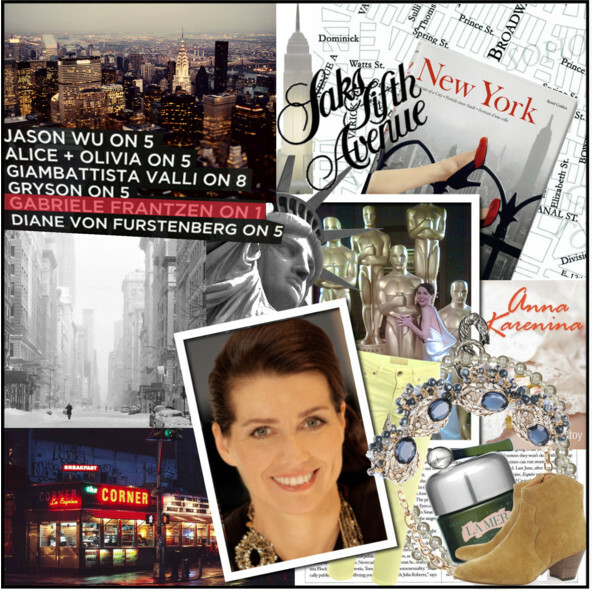 The charming German fashion jeweler shares her time between Munich and New York City, a place that inspires her a lot for amazing creations that were seen at this year’s Oscars. Below you will find her tips for the Big Apple’s best places to visit. Market fresh authentic Mexican food in 3 distinct spaces at one location. At 8am when the city wakes up. New York City’s North of Little Italy, or NoLIta, is a must visit. Elizabeth Street is packed with upscale & trendy shops. Your favourite walk? Starting in SOHO at WEST BROADWAY over to BLEECKER STREET to PASTIS in the MEATPACKING DISTRICT. I love the street musicians, the small cafés and all the extraordinary fashion stores. I love the blizzards, when the snow is blowing through the urban canyons. I love to walk through Central Park when all flags are hanging crosswise. The lights are phenomenal then and the windows have beautiful ice crystals. I love fashion and photography exhibitions. They sell a large selection of my jewelry pieces. Book an apointment with the „beauty fairy“ Fini. She is amazing. They use the Somme Insitute products which I adore . The American NYC-based label is dedicated to the science of skin perfection and uses Molecular Dispersion Technology which is the most significant advancement in skin care, a non-prescription synthesis of five highly-engineered vitamin compounds, designed to treat specific areas within the skin. Your travel in style tip? I love to wear STRETCH JEANS by Closed, ANKLE BOOTS that are easy to take off or New Balance shoes (Store: 150 5th Avenue New York, NY 10010, USA +1 (212) 727-2520), such as my custom-made sneakers that say I LOVE NY. I never fly without a CASHMERE SCARF to keep me warm, LA MER EYE CONCENTRATE, an eye cover and ear plugs. Moreover, I always pack two of my NECKLACES to change my look. Thank you, Gabriele, for sharing your insider scoop on New York City with us!